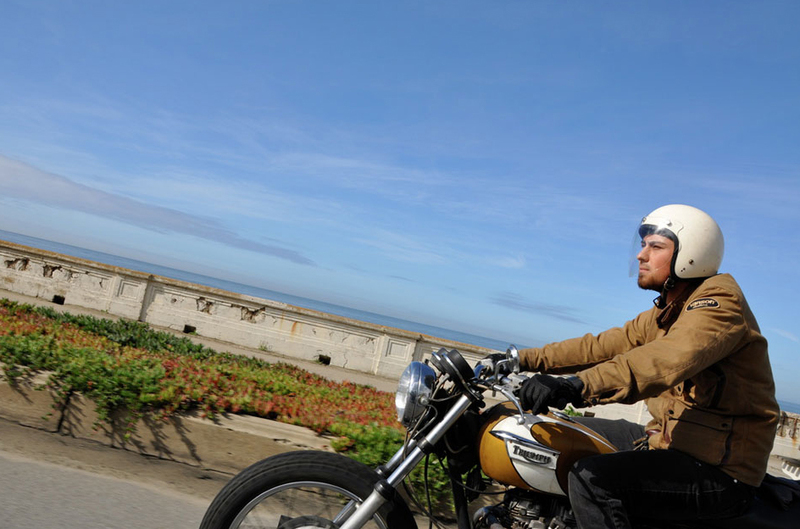 The model range available to the riding masses in the U.S. 50 years ago, short sleeves seem the fashion of choice for the SoCal or FL cruiser bruisers of the day. 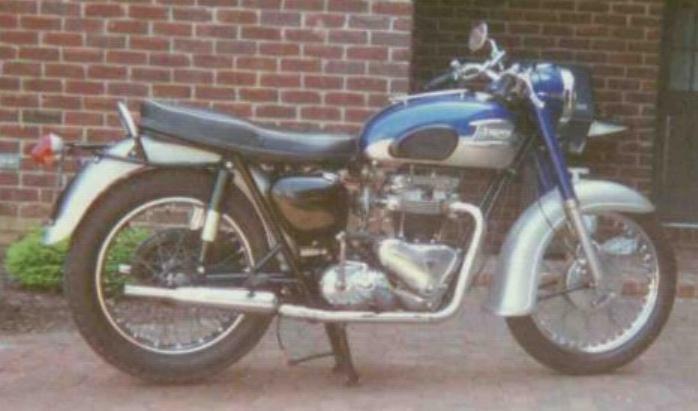 The swingin; line-up included: T100 Tiger, TR5, T110, TR6, 5TA Speed Twin and the Jewel in the Crown: T120 Bonneville. 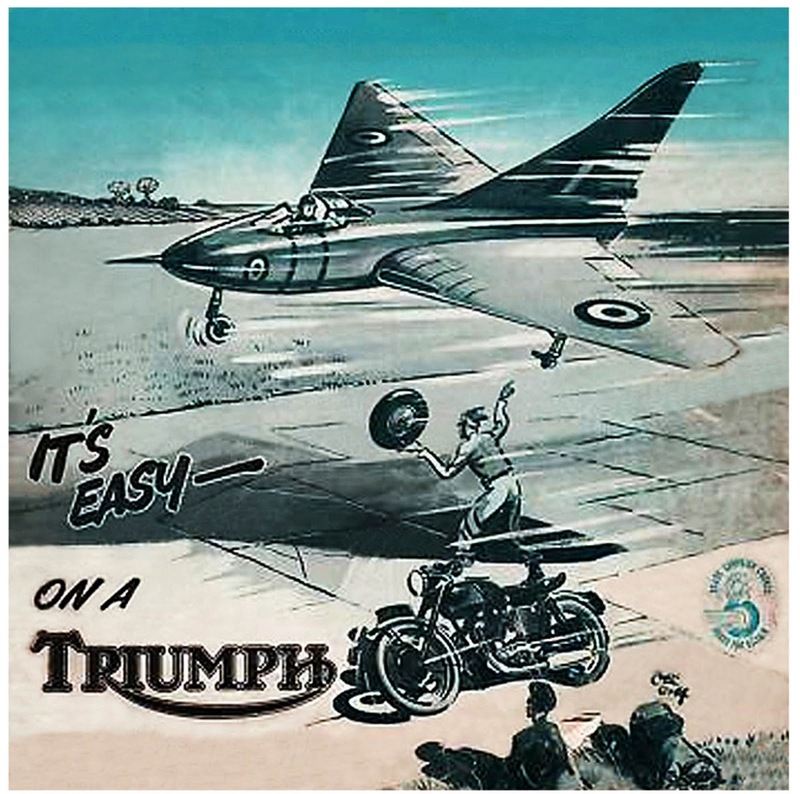 Another in the poster series of speeds that can be attained on your trusty Triumph! This time chasing a UFO; no doubt from a time when more sightings were rampant after Area 51. However our intrepid ‘collector’ would seem more at home pursuing flitting butterflys across an English meadow; tweed, breeches, satchel ‘n’ all! Back in the thirties T.E. 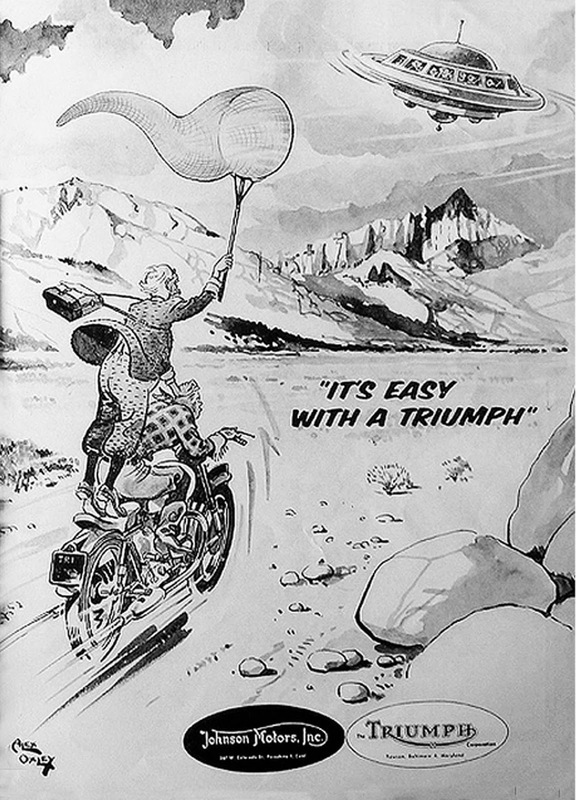 Lawrence took his Brough along an airstrip and raced a Bristol Bulldog Fighter; here’s Triumph implying their bikes can take on one of ‘them new fangled jets’; Actually an Avro Vulcan Strategic Bomber. 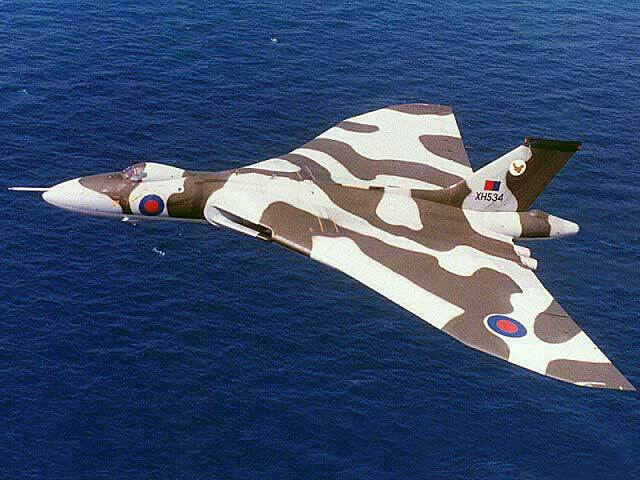 Itself hot off-the-presses for the RAF! 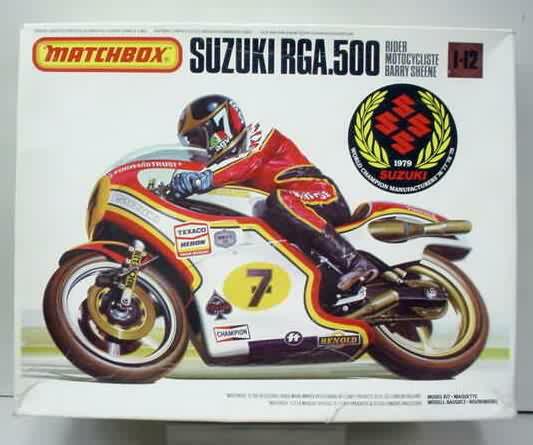 Matchbox made a couple of models, one a scale die-cast another a kit. Anything for the 10 or 11 year old to display on his bedroom shelf. Go No. 7! 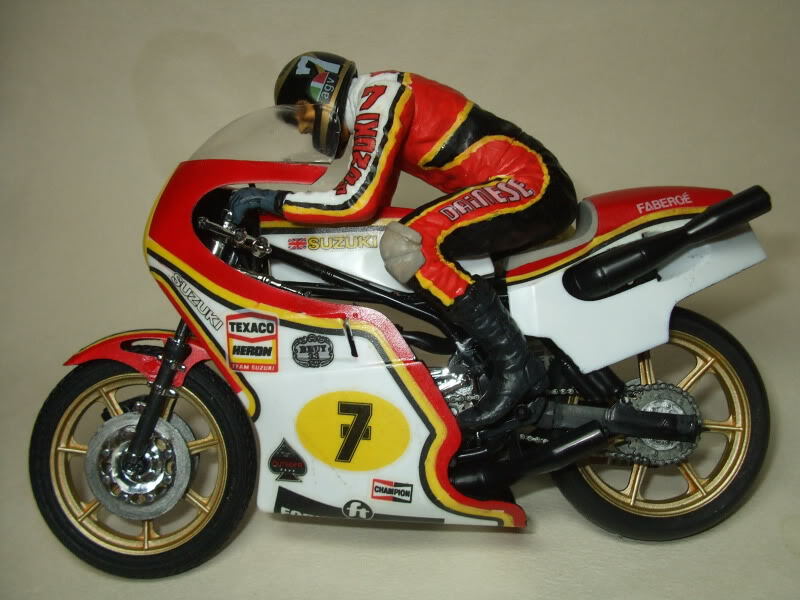 Here’s the Superkings K-81 Sheene bike. No duck faced helmet on this one, just his cool mullet hairstyle flowin’ in the air. 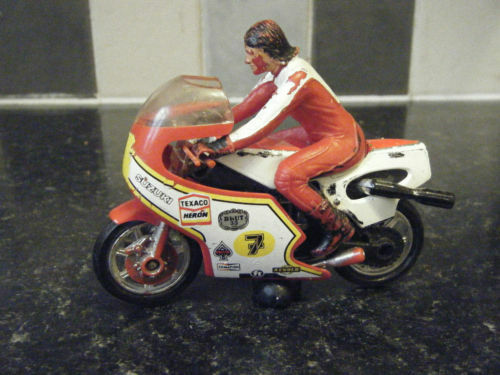 Here’s a basic Sheene toy for the younger enthusiast. Race ’em on Sunday, sell ’em on Monday! 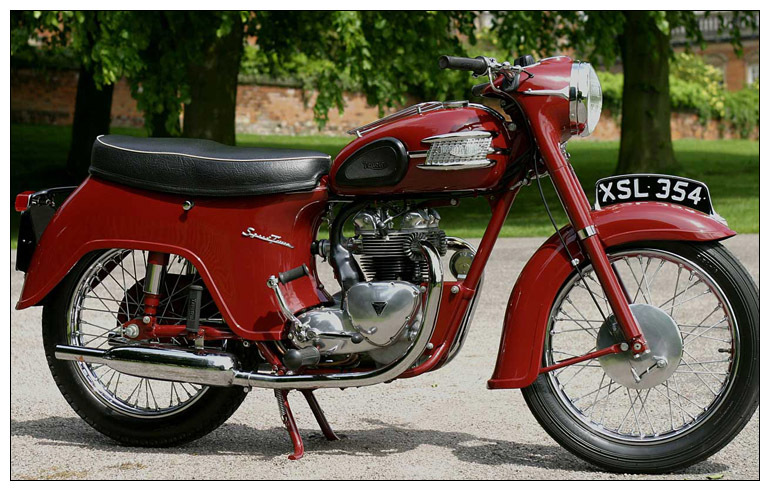 That’s what used to be said; and it applies so appropriately to the Trident; beefy 3/4 litre bike that even to this day four decades on can give a grin to an unsuspecting rider. This is just a real nice photo. The stark black and white film images held against the red backdrop is stunning: the leading actors names in red too achieves a balanced page. It’s like a pure screen printed race poster for the weekly dirt oval meetings. Here’s the full blown cinema poster or lobby card. A stunning image of three styalized Thunderbirds at blurry speed. 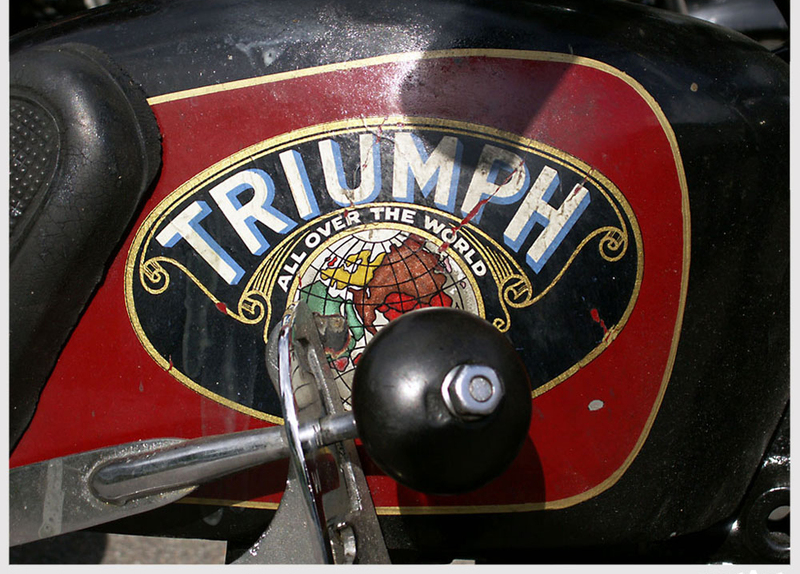 Great airbrush work expressing the clean bodywork and lined Triumph badge of one of the finest 650’s from Meriden. And the signifigance of 3x90x500? 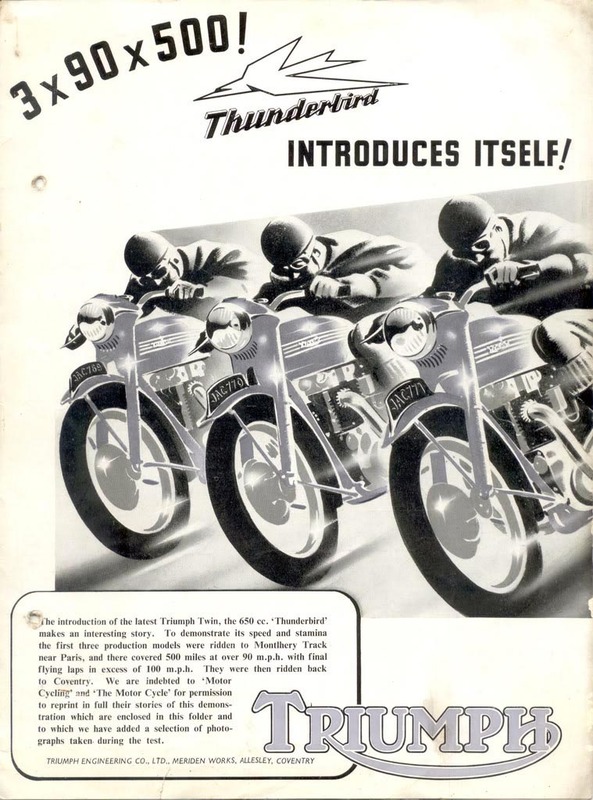 The 6T Thunderbird was launched publicly at Montlhéry near Paris where three standard production bikes were ridden around a circuit by a team of riders who between them averaged a speed of 92 mph (148 km/h) over a distance of 500 miles (800 km). All three machines were ridden to the circuit and back to the Meriden factory. 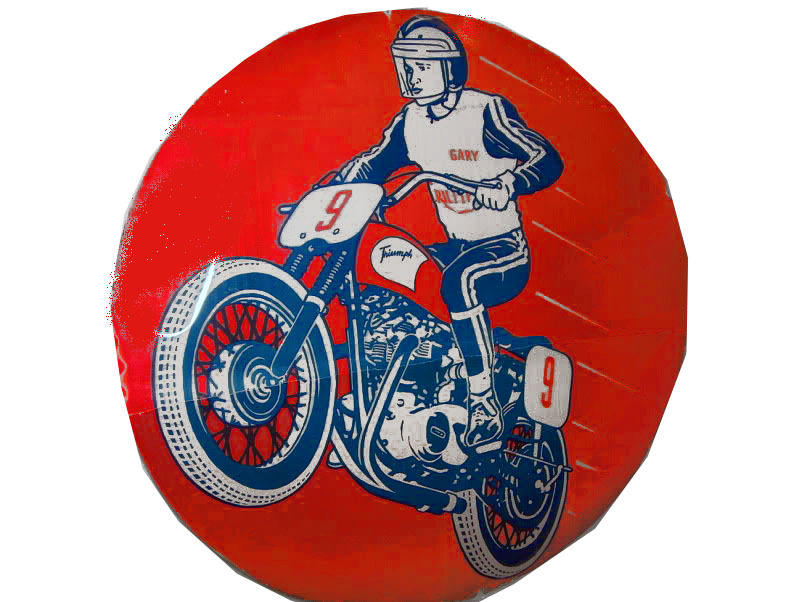 A couple of really sharp race roundel signs. One displaying unstoppable #9 Gary Nixon ‘flying’ on a dirt oval steed; the other is Eddie Mulder #12 (The Squirrel). 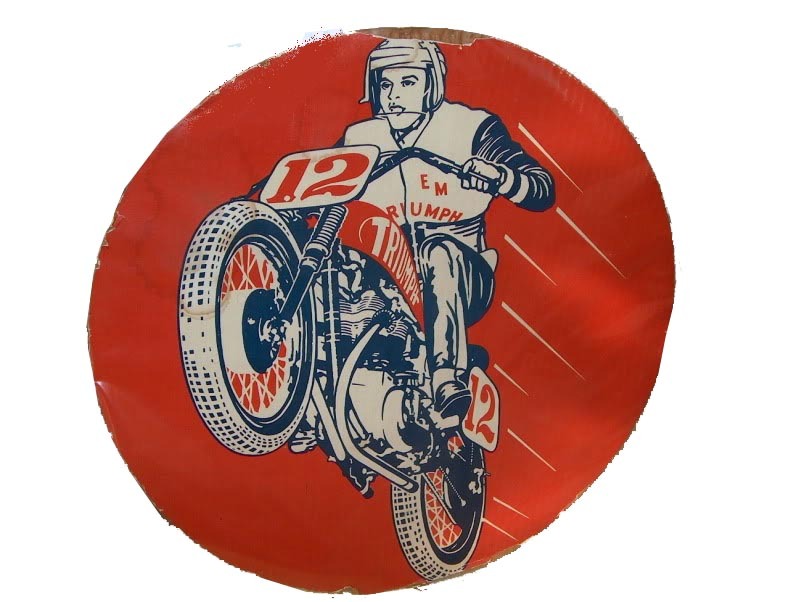 A Logo used for a couple of years (1932-33) on the early models was this globe variant. 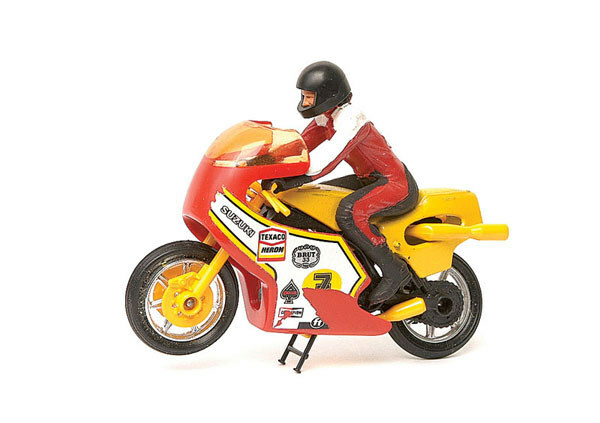 Here shown on what could be a 2/1 250cc or 6/1 650cc designed by Val Page. Here is a stunning example of a NT500 from 1933, the worldly badge just visible. 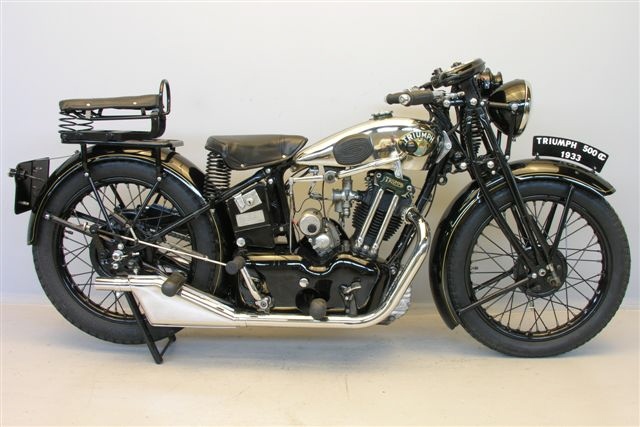 Remember this was the time of the SS100 Brough Superior ‘Superbikes’! 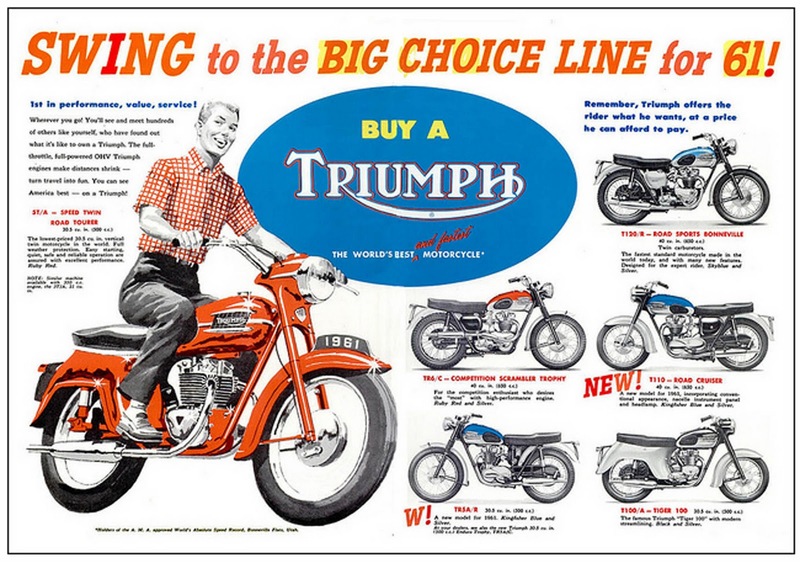 A neat thin strip vertical ad highlighting the sublime Bonneville as the sporty choice of business executives. Looming office buildings flank the parked ride between lesser ‘motorcars’. 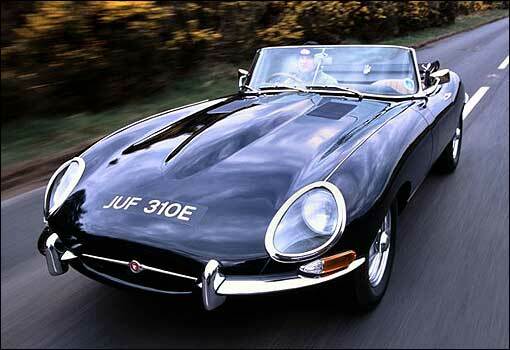 It’s rival of the time was of course the E Type Jag; serious competition indeed! Bonneville, Thundebird, Speed Triple, Hinckley models, Speed Twin. 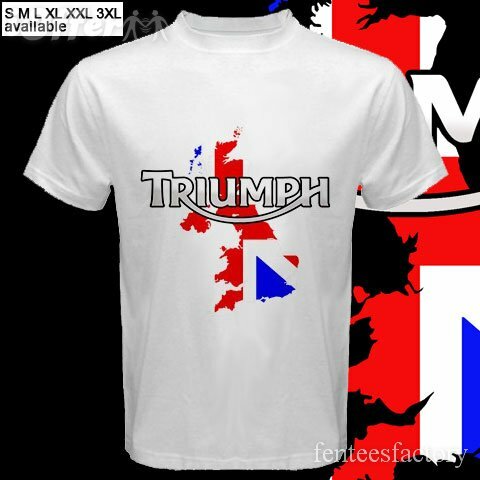 A few of the sample you’d see when requesting a google image search for Triumph Motorcycles. Eye Candy All! 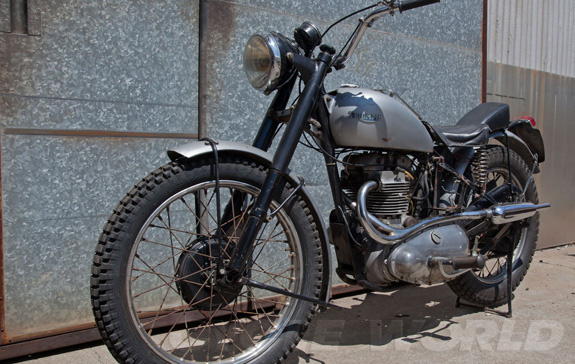 A well known bike to millions of American TV viewers of the 70’s is comng up for sale. 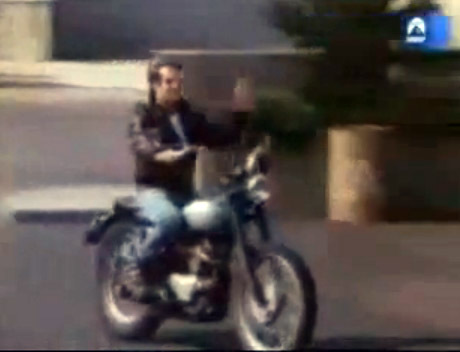 The ‘cool’ Triumph we see The Fonz riding on during the opening credits of Happy Days. 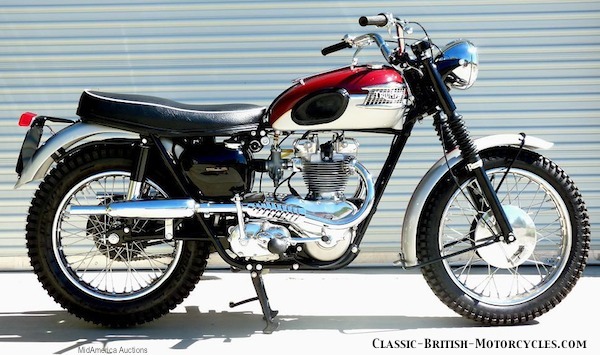 It’s a 50’s 500cc TR5 Trophy with rigid frame. 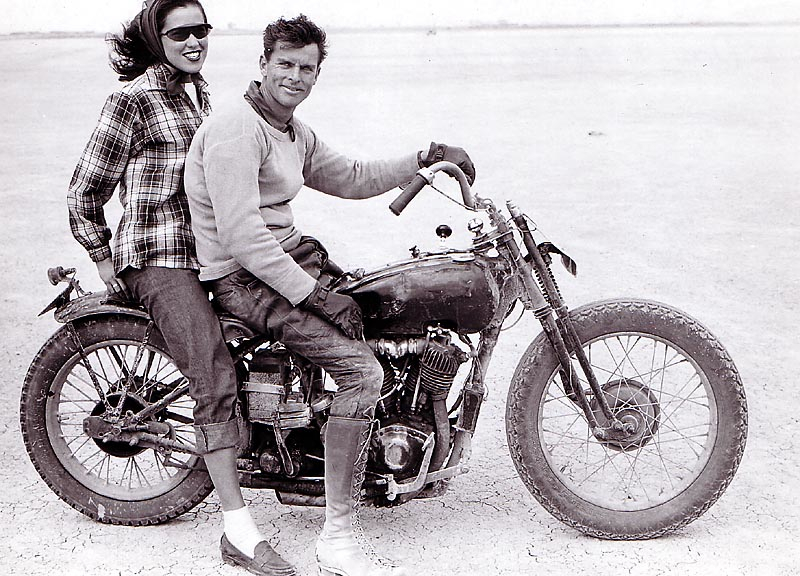 A moto used by the desert racers in SoCal at the time; this one beginning in the hands of Bud Ekins. 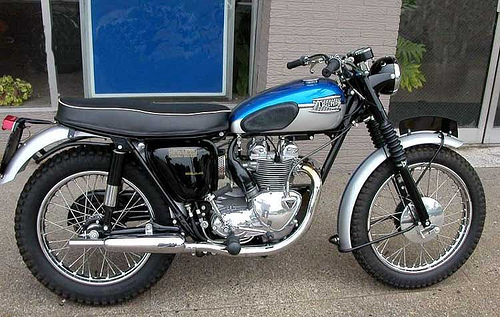 When Happy Days was in it’s conceptual infancy Hollywood called their biker pal Ekins to supply a chopper for a new cool character to ride on; he put high bars on, stripped the front fender and sprayed the tank silver… an icon was born! 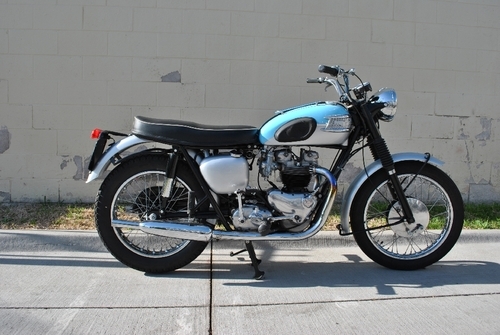 Roll-on 3 decades and Ekins was clearing out his not inconsiderable collection passing a warehouse of bikes, parts and memerobilia to another Triumph dealer ‘Mean Marshall’ Ehlers. This old Trumpet was sitting forlornly amongst it all. Now Mr Ehlers needs to sell it so this bike is up for grabs to the highest bidder through Bonhams.